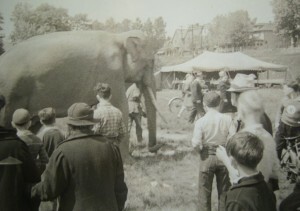 A popular annual event to look forward to by all, was “The Coming of The Circus”. 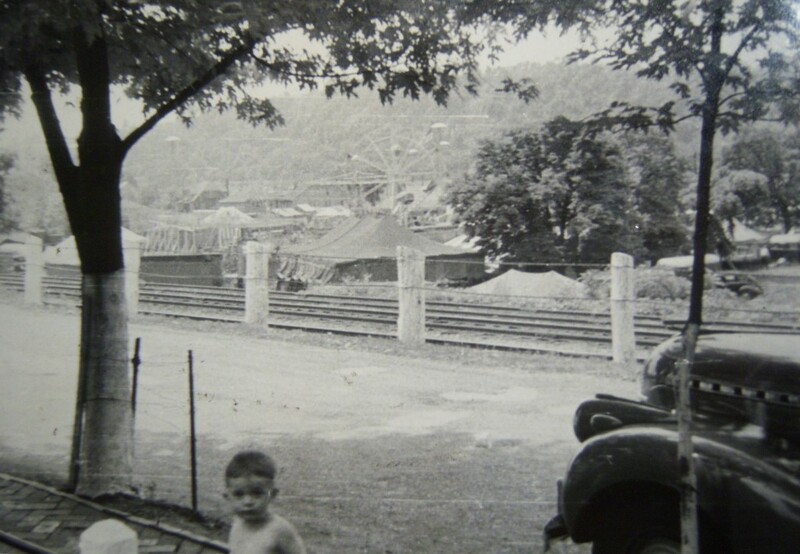 The Circus was held in a few different places in Kittanning throughout history. 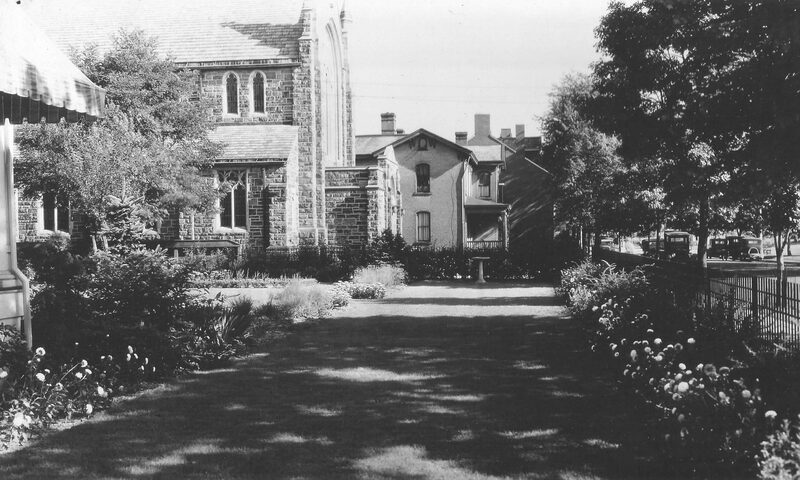 One of the early locations was known as the “Bull Field”. This was the area of the 1000 block of N. Mckean St. and just below(west) of the tracks. 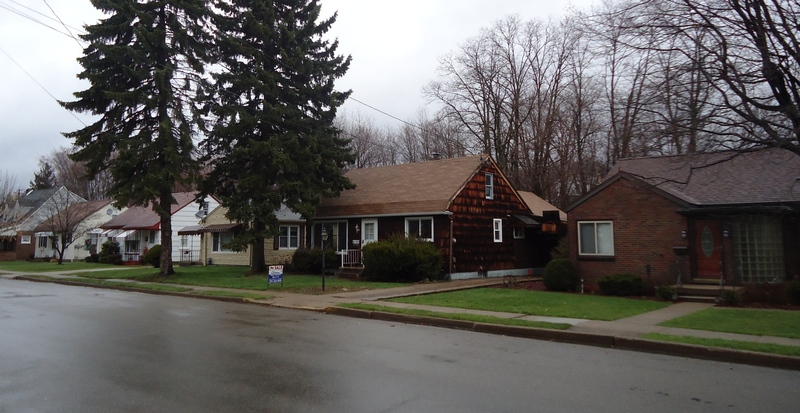 This area was developed with houses in the late 1940’s and 50’s. In a future article, I’ll share some photos when it was located at the present site of the Kittanning Senior High School. On May 14, 1930 the all-motorized Circus rolled into Kittanning after leaving Indiana the day before. Nearly 75 trucks were used to transport the wondrous big show. 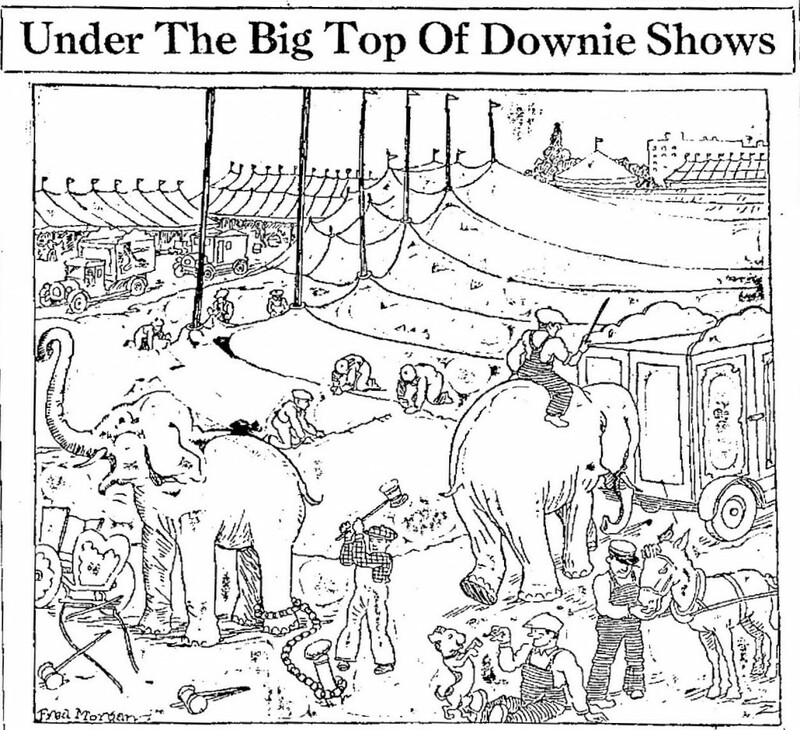 In 1930 Andrew Downie sold the Circus twice to Charlie Sparks and twice bought it back. Downie was with the show in Kittanning. Payment to Charlie Sparks for the purchase, was made at the Peoples National Bank in East Brady, PA. To see the 1930 season timeline of the Downie Brothers Circus, go to the site Bandwagon with a link below. This site describes the amazing acts and performances. along with the people involved during that era. List of the most notable features from the local Kittanning paper. Famous Morales Family – Trapeze and Highwire Act. When the Circus arrived there was a lot of fanfare. It was custom to parade the animals and the acts through the street to entice fellow townspeople to come. What a site as a kid to see, “Teddy” the star of the Downie Bros. elephants walking along the streets. Also imagine sitting on your front porch seeing the other various animals, that would only be viewed by most from a book then. Some people probably recall their grandparents talking about the Circus being shown in town. Photographed below are views of the circus when it arrived in the summer of 1941, and was located at the “Bull Field”. The two views of the Circus are from the same location. Notice that some of the same houses still stand in the 900 block of N. Grant Ave.
Summer 1941 Circus, at the Bull Field - 1000 blk N. Mckean St. Here is what you would see today from the location from the street view. As you can see this was no small event, this photo is taken from the 1000 block of N. Grant Ave. looking towards the modern day location of the 1000 block of N. Mckean St. Circus from the 900 blk of N. Grant Ave.